Pragma interviewed in Casual Dining on the volatility in the F&B sector, and how operators are having to adapt to new rules of engagement. 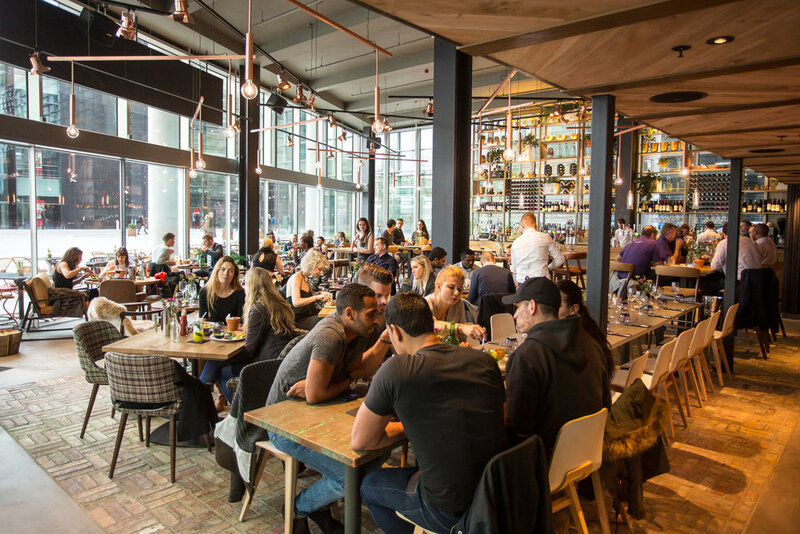 With the volatility in the F&B sector showing no signs of abating, operators are having to adapt to new rules of engagement. Leading brands have contracted, and others are looking to recalibrate the route to success. There are many ways restaurateurs and outlet operators can pep up their propositions through add-ons like click and collect, table-top tech and Instagram-able makeovers. However, a future-focused, confident stance in five key areas will ultimately drive performance. Market volatility means ensuring that brand and proposition are clearly understood, both internally and externally. Restaurants need to ensure they effectively communicate their brand. This means getting to the core of what you stand for and understanding customer behaviours. You must remain clear on storytelling and enable the brand personality to shine through. Understand who your customers are and why they like you. Maintaining clarity around how your proposition is articulated in the guest experience is vital. You can then understand how to evolve the various brand components, adjusting key elements where necessary, to reflect what your audience is looking for. It is through this understanding that you can create an evolving offer, one that delivers a truly reliable and trusted brand promise. Characterised by a transient workforce, low wages and a temporary work ethic, we know that finding and holding onto decent staff is a challenge, and one that is only set to become harder. Finding those passionate about hospitality, who are in it for the longer-term rather than a stopgap between studies or another job, is a key first step and requires investment in the recruitment process. Your team requires induction, training and ongoing development to perform optimally. It’s about keeping employees engaged and delivering their best, through great management and incentivisation. Team members need to see that there is opportunity to progress and develop, as well as be involved and excited by the evolving proposition. For example, through menu tastings and launches. Maintain service expectations through constant brand guardianship from managers and regular training updates. Yes, this costs time and money. But great service enhances customer engagement and advocacy. There’s a direct correlation between staff retention and customer experience. In our view, creating a culture that rewards and incentivises on-brand behaviour could be your biggest win; it needs to be understood and planned for. Modelling the cost of churn against the benefits of stable personnel shows that it’s the operators who prioritise and invest in their teams who have the edge. With increasing pressure on overheads and other costs, operators need to pull on every lever possible to drive sales to keep their heads above water. A strategic focus on pricing strategy and menu management should be deployed to drive ATV and profitability, ideally with no impact on traffic. This can be achieved through quantitative analysis and statistical modelling of sales data to understand customer spending behaviour. This approach enables operators to better adapt pricing and menus to react to demand, flex to locality and to find the optimum price elasticity. It means your business is equipped to implement demand-based pricing, drive sales and squeeze out any hidden margin opportunity. The delivery channel undoubtedly presents opportunity for the supply side, but many are grappling with how to execute and make this a profitable line on the P&L. Increasingly, we’re talking to clients about the development of their channel strategy, which is a relatively new conversation for F&B businesses. In reality, the optimum solution or ‘channel mix’ varies, and to develop the most profitable long-term approach requires a clear understanding of the restaurant operations and cost structure, the estate footprint, the target audience and the competitive landscape. Expert advice supports established restaurant businesses in working out the best means to effectively access the value growth potential in the sector, be that through click and collect, third party delivery partners or a separate ‘dark kitchen’ operation. Our final point is that, now more than ever, operators need to be constantly looking to streamline and improve every element of back-of-house operations and concept execution, to drive efficiency and performance. We’re talking about reviewing team structure, sense checking opening hours against demand, cutting out the fat in rotas and shift patterns, and revisiting standard operating procedures. Critically, this must strike a balance that achieves it without a negative impact on the customer experience. It’s not the most glamourous function, but regular and constant focus on the power of marginal gains, can be the difference between sinking and swimming in troubled waters. Pragma is a strategic partner for operators and investors in consumer markets.